Still overjoyed being part of this awesome collection of historical romances. 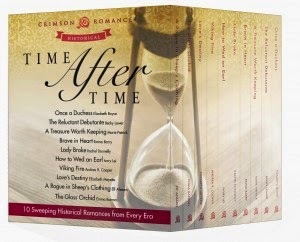 As promised, here is Part 2 of the bundled package called Time after Time from Crimson Romance. Author Bio: Rachel Donnelly is an RWA Golden Heart and Golden Pen finalist. She lives in Canada with her husband, two children and one crazy cat. Learn more about her at http://author-racheldonnelly.blogspot.ca/, Facebook, Twitter, and Pinterest. Having regained his fortune, Lucas, Earl of Ravenstone, has to marry in order to keep it. Luckily, he won’t have to search for a wife—he’s known her name since their marriage was arranged in their youth. To fulfill his duty, he travels far from London Society to claim a fiancée who would no doubt be thrilled at the prospect of finally being able to use his name and become his countess. 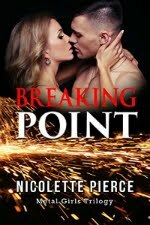 Penelope Maitland has already been using Lucas’s name—to fend off her stepfamily’s creditors. After wasting decades waiting for him, she reckons it’s only fair she gets something out of her long-standing betrothal before she hears Lucas has married someone else. When they accidentally meet in a coaching inn, she finds herself fighting dangerous girlhood fantasies about marrying the man of her dreams who broke her heart with his apparent lack of interest. And Lucas finds that in order to keep his fortune, he will have to lose his heart to a woman who is tired of waiting for him. Author Bio: Ivory was born in the Philippines and lives in Carlisle, United Kingdom, with her husband and their perpetually hungry canine. She’d love to hear from you. Contact her through www.ivorythewriter.wordpress.com or through her Twitter handle @ivory_lei. In 1855 New York, Ginger Fitzpatrick has absolutely no interest in taking part in the newest rage in America – the Cotillion Ball. Instead, Ginger would rather be rallying for women’s rights – at least until she meets her brother’s best friend from St. Louis, a dark mysterious man named Joseph Lafontaine, who ignites her passion and makes her question if love and marriage is such a ridiculous notion after all. In this Edith Wharton meets Julia Quinn tale, a young woman rebels against high society and opts for a life in which she creates her own set of rules. Author Bio: Ever since submitting her first screenplay to Bonanza at age twelve, Becky Lower has had a love affair with the American west. 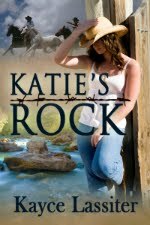 Since personal time travel is out of the question, she pursues her passion by writing about it. Becky is a graduate of Bowling Green State University and lives in Oberlin, Ohio with her dog, Mary. Author Bio: Elizabeth Meyette’s love of books was ignited when her older sister read Goldilocks and the Three Bears to her. That passion grew into a career as an English teacher, media specialist, poet and author. She is fortunate to live in Michigan with her beloved husband, Richard, where they are inspired by their walks along the beautiful Great Lakes. Caralyn McCreigh has always believed in three things: that her father, Daniel, would never force her into marriage; she could have a story book romance with a man who sweeps her off her feet and a loving marriage like her parents share; and in the existence of the legendary lost treasure, Izzy’s Fortune. When Daniel tells her that her marriage has been arranged, all her beliefs are shattered and she does exactly as he hopes she will do – she embarks on a quest to find Izzy’s Fortune, believing Queen Isabella’s treasure will buy her out of a marriage she doesn’t want to a man she doesn’t know or love. And who better to help her than Captain Trey, the infamous treasure hunter? Author Bio: Marie Patrick lives in beautiful, sunny Arizona with her husband and amazing fur-babies. She loves to hear from her readers. Find Marie Patrick at www.mariepatrick.com or email her at Akamariep@aol.com.